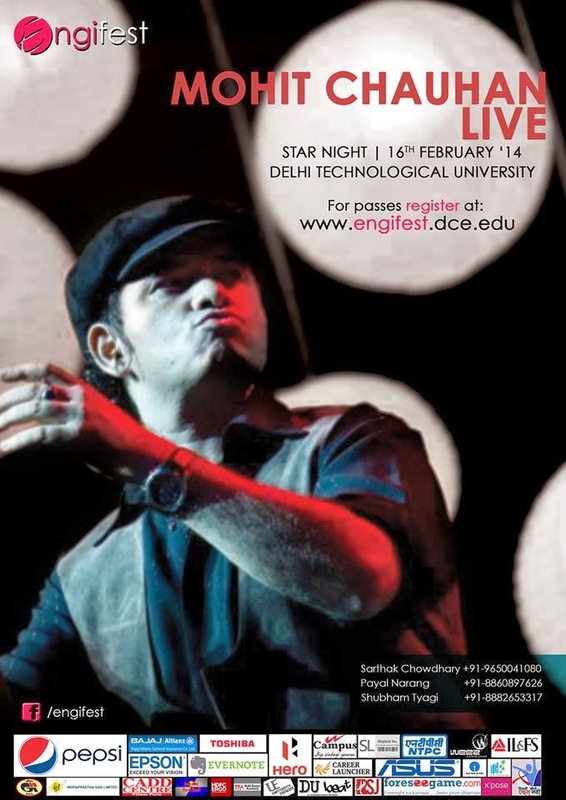 We're happy to announce that Mohit Chauhan will be performing at Star Night on the 16th Feb '14. For passes kindly register at http://www.engifest.dce.edu/ and get your Engifest ID. You will receive pass through Email ID and SMS. Do not forget to bring your valid college ID. Hope you guys are excited ! !